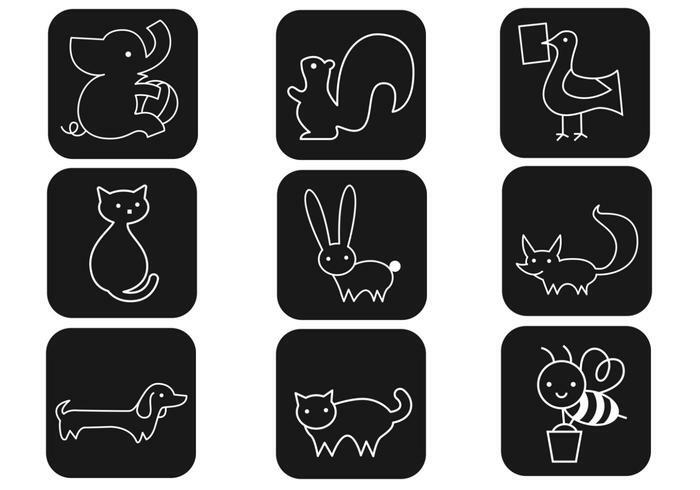 Outline Cartoon Animal Brushes Pack - Free Photoshop Brushes at Brusheezy! This new Outline Cartoon Animal Brushes Pack would be perfect for all your kiddo projects and animal themed work. Use these cartoon animal brushes to create fun scrapbook pages for your kids or playful greeting cards. Download these animal brushes and then check out the <a href="http://www.vecteezy.com/birds-animals/57730-outline-cartoon-animal-vector-pack/premium">Outline Cartoon Animal Vectors</a> over on Vecteezy!